It shouldn’t come as a big surprise, but we love pizza. And sometimes it’s not about the toppings — it’s about the quantity. 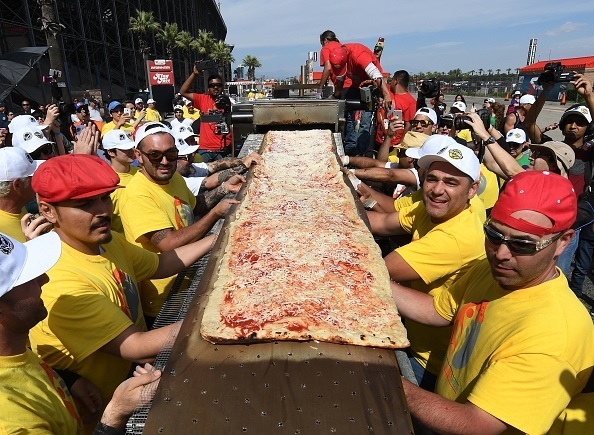 So we’re overjoyed to hear that the world’s longest pizza was actually created in America. Oh yes, that’s right. 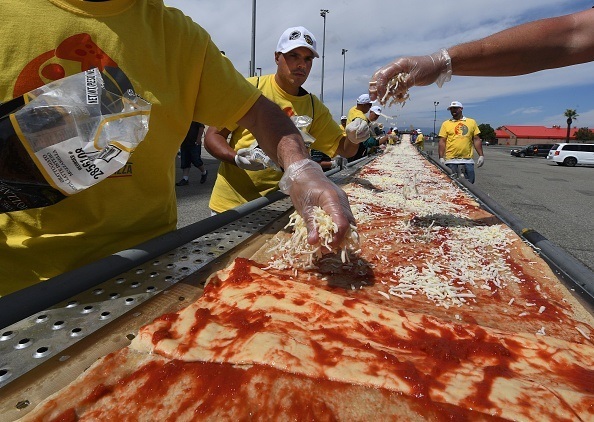 This pizza, which was created in California, officially holds the Guinness World Record for being the longest. And it’s definitely long — a little over a mile long, to be exact. 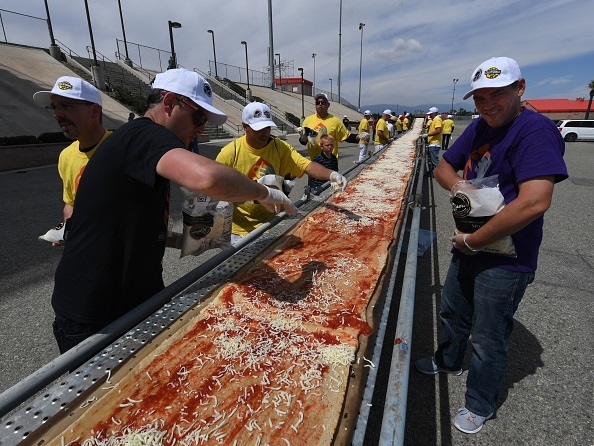 Clocking in at 6,330 feet, the pizza was assembled at Auto Club Speedway, which itself is around two miles of track. According to Eater, the pizza was constructed with a gas convection oven on wheels. Somebody was definitely thinking. Just witness the cheesy goodness. And this picture here really showcases the length. Finally, here are volunteers feeding the pizza into the oven. Looks good, doesn’t it? We’re getting hungry just staring at all the cheese. Sadly, due to scheduling, only a few of the volunteers got to eat their creation. To us, that’s almost criminal. Especially since people gathered from all over the country to take part in breaking this record. Speaking of records, America officially took the title away from Italy by creating this masterpiece. Italy only had the longest pizza record for about a year. Know what that means? It means that even longer pizzas might be in the world’s future soon. After all, it’s a pretty delicious record to hold.